Google on Thursday revealed that Android N, the upcoming version of its popular mobile operating system, will officially be named Android Nougat. Many expected Google to once again partner with a major brand on the name but that turned out not to be the case. Hiroshi Lockheimer, the SVP of Android, Chrome and Chrome OS, hinted back in March that Android N may be known as Android Nutella. At its annual I/O developer conference last month, Google still hadn’t decided on a name, instead reaching out to the public to ask for suggestions. Some of the most common names at the time included Neapolitan, Nutter Butter, Nutella, Nerds and Nougat. Partnering with a major food brand wouldn’t have set precedent as Google licensed the Kit Kat name from Nestle in 2013 to brand Android 4.4 as KitKat. 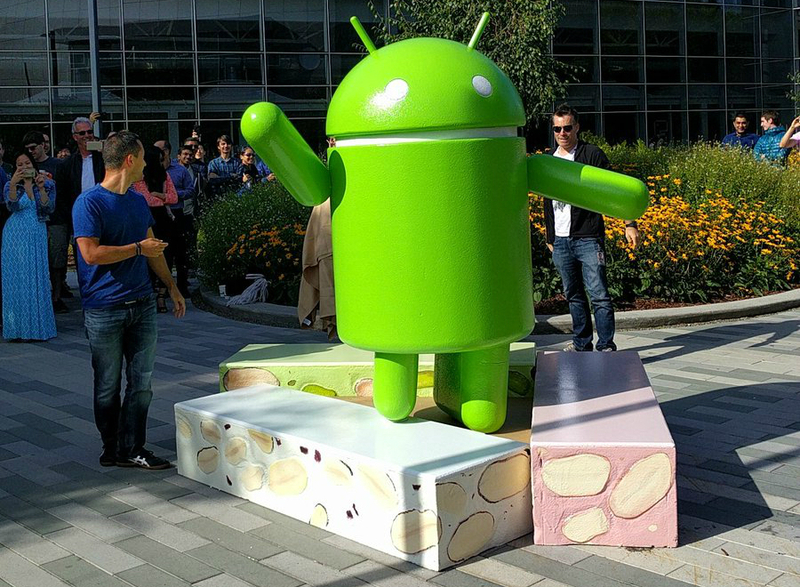 With the announcement, Google also revealed the new statue design for Android Nougat which features the familiar Android character perched atop a sampling of sugary confections. Google has a lawn statue made for each of its major releases and places them around its Mountain View, California, headquarters. Google surprised everyone earlier this year by releasing the developer preview of Android N months ahead of schedule. Currently in open beta, Android Nougat includes a wealth of new features in addition to the usual performance and stability enhancements, full details of which can be found in our preview video embedded above. Anyone else besides me make this suggestion to Google? Think Google will send us a months worth of nougat filled Chocolate? It will have bugs in it. CURLUCKY and p51d007 like this. Wait wait. Somewhere in there is a joke about Android containing bugs isn't there? I can feel it! Because iOS doesn't contains bugs? Nah. The average Hershey chocolate bar has like 2 bugs in it. or more without having to reboot for something. Heck, the way carriers, are, Droid O will be released before most people will even get marshmallow LOL. or carrier wants. I don't worry about security on my device for several reasons, but the way some people download & open every flipping thing that comes at them, I could see the case for getting timely updates. Only two? So I was off like ten thousand. Whats in a name anyway? Personally I far prefer it to be called Nougat rather than Nutella. There really wasn't much else they could call it that I can think of. It was either Nutella, Nougat or Nutty Buddy. There you go. Nutty Buddy is too obsure for worlwide adoption. Apart from where it's sold, nobody has probably even heard of it including myself... til now.